Warner Bros. Pictures is definitely focusing heavily on 2017’s Justice League film, but some moviegoers might’ve forgotten that before Justice League hits the big screen next year, Warner Bros. Pictures will release Wonder Woman. 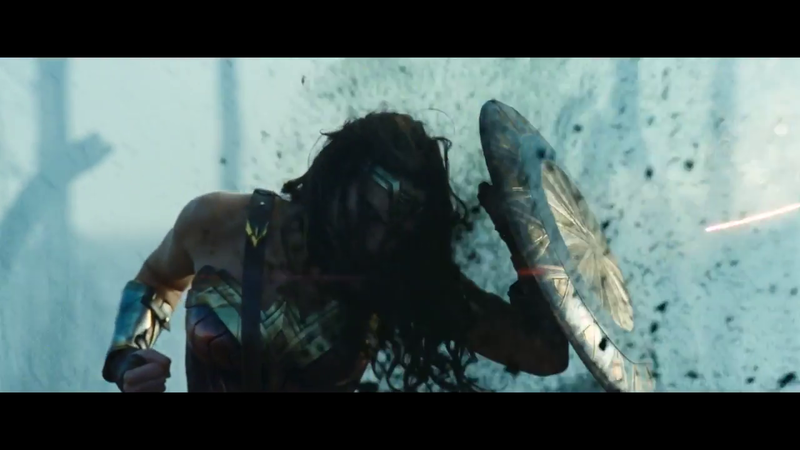 Warner Bros. Pictures officially released the international trailer for the Wonder Woman film. Although there isn’t much new footage in this trailer than the one released at San Diego Comic Con, there are some new clips that may raise a few eyebrows. Check out the international trailer for Wonder Woman below. Diana, princess of the Amazons, was raised on a sheltered island and trained to be an unconquerable fighter. After an American pilot, Steve Trevor, crashes on the island and tells her about a world war that is happening, Diana leaves her home to try to stop the war. Wonder Woman hits theaters on June 2, 2017. The film will be directed by Patty Jenkins. The film will star Gal Gadot, Chris Pine,Connie Nielsen, Robin Wright, Lucy Davis, Danny Huston, Elena Anaya, Saïd Taghmaoui, Ewen Bremner, Lisa Loven Kongsl.